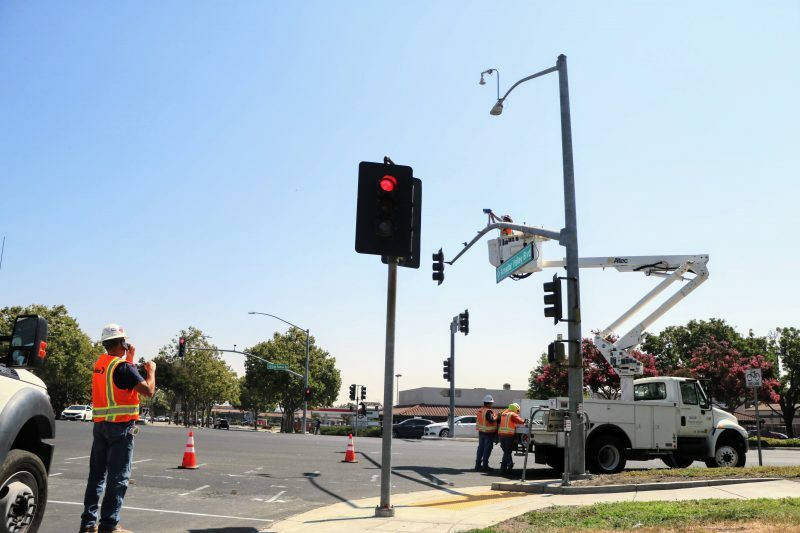 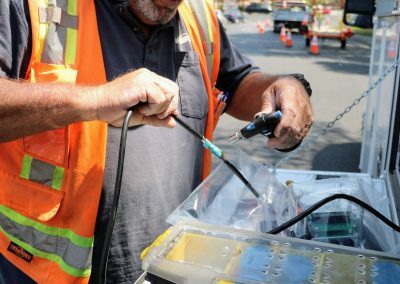 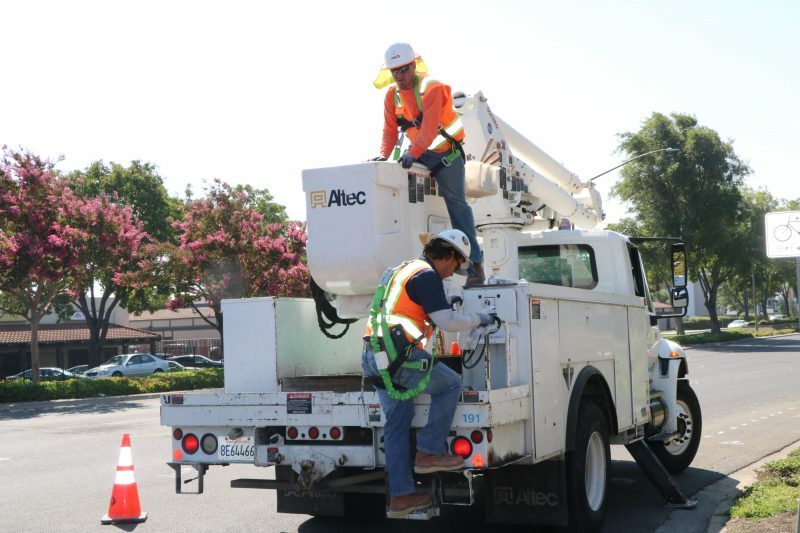 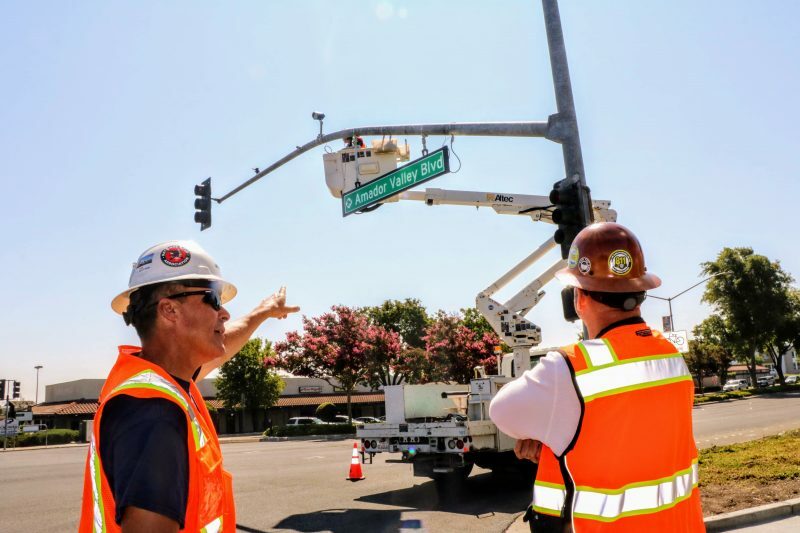 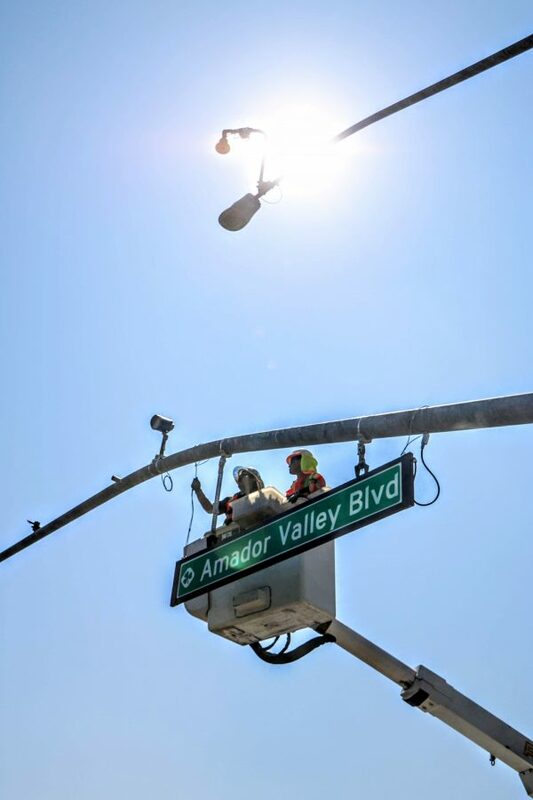 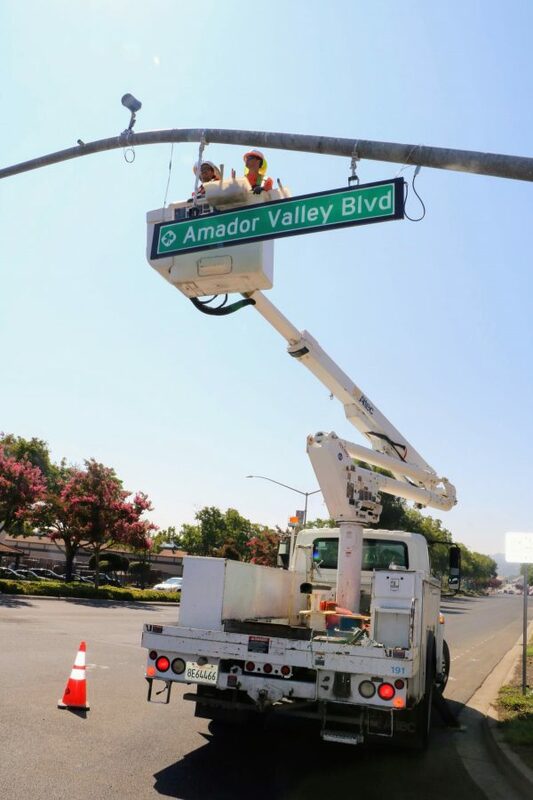 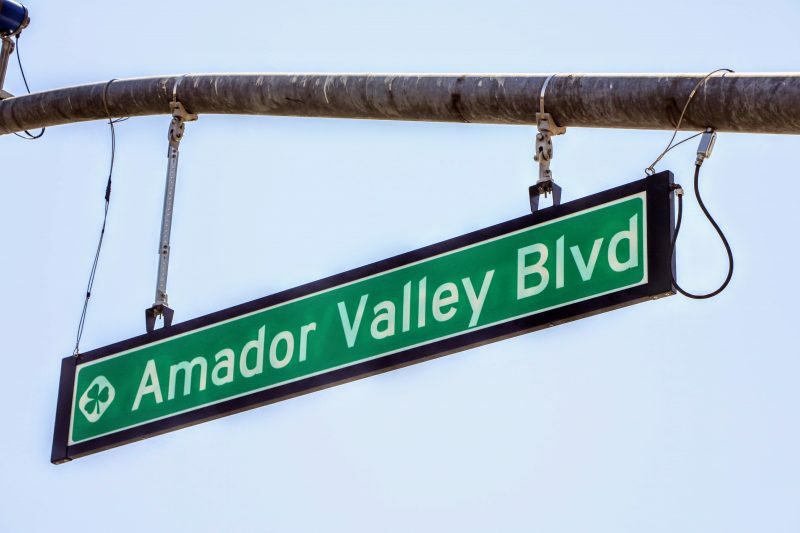 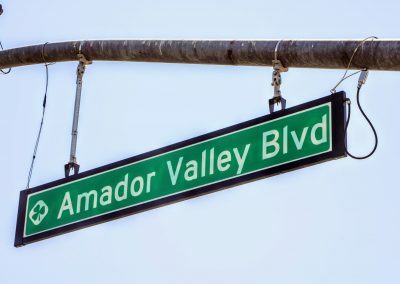 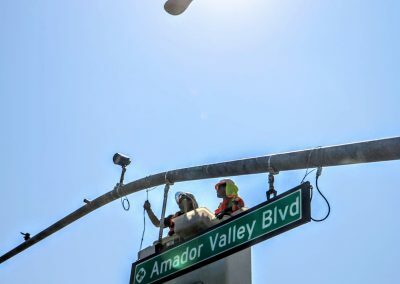 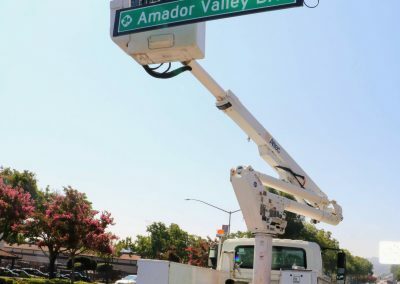 This project includes the installation of a 96 strand fiber optic cable between signalized intersections along San Ramon Blvd. 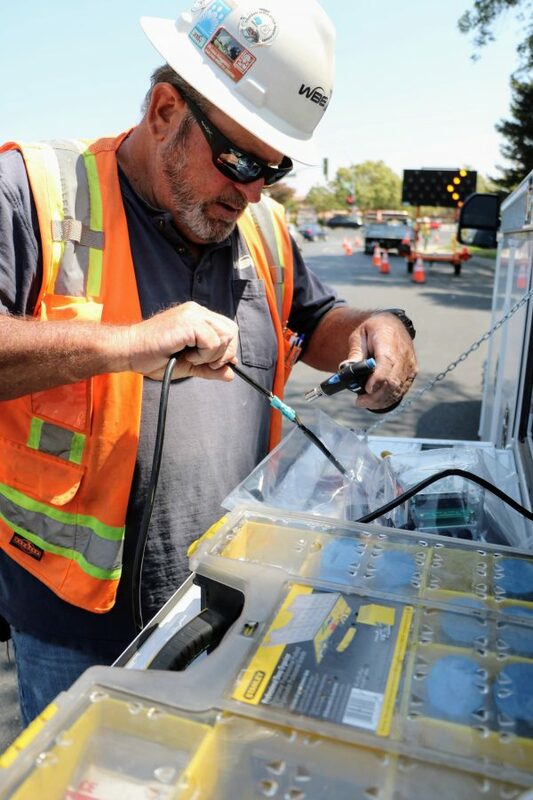 This cable will be installed in new and existing conduits. 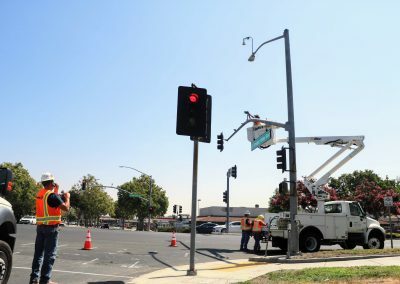 WBE Traffic Signals/Street Lighting will be upgrading existing pull boxes to larger fiber optic boxes; adding fiber optic equipment into traffic signal controller cabinets; installing CCTV, microwave vehicle and bicycle detection systems; and adding LED street name signs to various intersections. 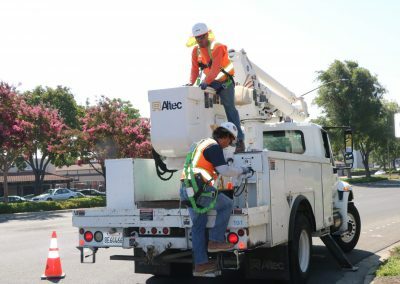 The WBE Telcom Division was included in this project and worked with our Traffic division to complete all cable testing, splicing, and installation of the fiber equipment into the signal controller cabinets.